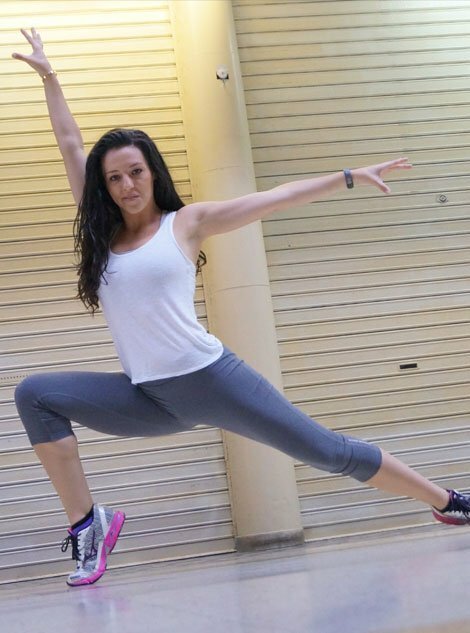 Alessa Caridi is a certified IM=X Pilates instructor, artist, dance technician, and functional fitness speaker. She has a passion for perfecting her healthy self, fully understanding the wonderful machine that is the human body, and passing along her knowledge to her clients. Alessa’s passions were ignited during her time at University of California, Los Angeles where she studied anatomy and performing arts and obtained her B.A. in World Arts and Cultures, Dance Concentration. While studying at UCLA, Alessa had the privilege of spending half a year abroad – a summer in Paris and a semester in Florence. During her time abroad, she not only experienced dance in different countries, but she also learned from the cultures around her. More often these people are less stressed, take time for themselves and their families, and above all else, live healthier lives. Alessa’s last move took her, her husband, a Captain in the United States Marine Corps, and their miniature poodle to Okinawa, Japan. There she taught Mat Pilates classes on the military base and, with all her success, she opened her own, and first to the island, Pilates Studio- AlePilates. In their three years on the island, she experienced first hand what makes Okinawans some of the healthiest, longest living people on this planet. And that’s when she knew the Okinawans’ habits needed to come to America. It is from this period of her life that JōbuFIT was conceived. Alessa is excited and honored to announce that JōbuFIT is Chairing the inaugrural year of the first official extension of Women’s Entrepreneurship Day at the United Nations: Women’s Health and Fitness Day. JōbuFIT is proudly a 100% female owned business. So it is with great pleasure that we will be taking charge and organizing a full day of events at Athleta 5th Ave, NYC. Did you know: in 2016, it was estimated that there are about 11.3 million women-owned businesses in the United States alone. That’s a lot of hard- working ladies! As female entrepreneurs we are not only business owners; we are mothers, caretakers, home-makers, and that often pushes our health down the priority list. This Women’s Health and Fitness Day is dedicated to all the hard-working bodies that give 100% in many different directions. We have a full day of Fitness classes, demonstrations, and panel talks to celebrate and educate these women. Alessa will even be there to give #jobufitquickfix, live Jōbu-Setup demonstration, and an office fitness workout for all attendees. Our goal for this day is to have healthy fun in fitness classes and bring attention to health issues that effect busy professional women in the workplace and beyond!